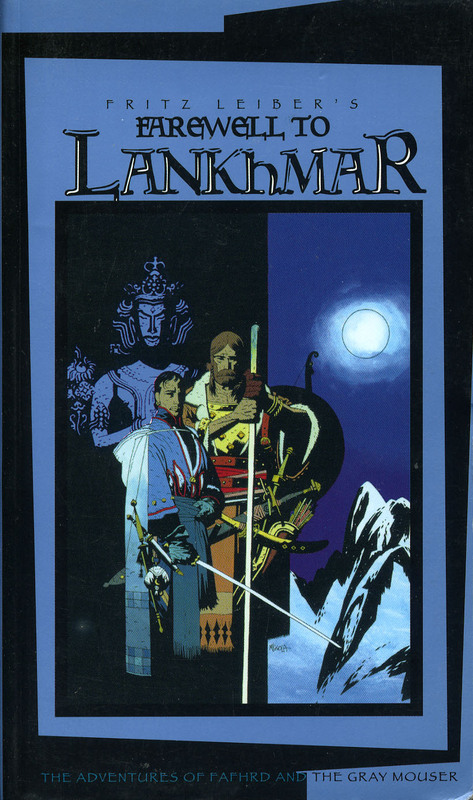 Farewell to Lankhmar is basically a reprint of The Knight and Knave of Swords to fit in with the other Whitewolf books. 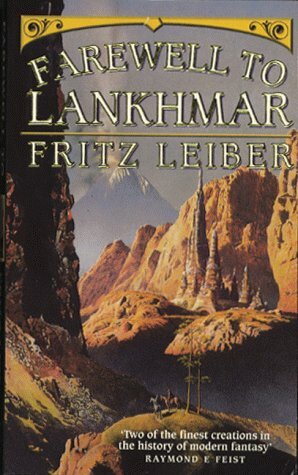 Later released by Gollancz as a paperback. In the HB edition, the last seven chapters of ‘The Curse of the Smalls and Stars’ are missing… rather ruining that story…. Leiber was the man who actually invented the term swords and sorcery way back in the 30′s. His stories of the heroic Fafhrd and the Grey Mouser, in the world of Newhon, influenced and inspired many who followed, notably Michael Moorcock with his Elric sagas. He himself is a legend in his own myth-time, having once acted with Garbo in Camille. And, now at the age of 80 Leiber is still conjuring magicks – that spelling preferred – and, although, there has been a gap of time, here is the climax of his epic of Fafhrd and Mouser. Nothing ancient and feeble about this newest breath of fire from the Dragon Of Unknown Worlds. As a whiff of the old stuff, to singe your eyebrows with its vitality, it lives up to all the expectations of memory. Something you might not know about the White World hardcover edition of Farewell to Lankhmar… The last several chapters of “The Curse of Smalls and Stars” are missing. My understanding is that the story is intact in the softcover versions, though I don’t own those so can’t check. You are quite right, I have checked in the HB, chapters 21-27 are indeed missing. Most strange! I will add a note to this page. Does anyone know why the last 7 chapters of The Curse of Smalls and the Stars are omitted from the White Wolf Hardcover edition of Farewell to Lankhmar? In The Knight and Knave of Swords’ Hardcover this amounts to about 8 pages of text. Why would that just be omitted? I assume it wasn’t done indiscriminately, but I could be wrong of course. I would presume some kind of mess up at the printers.